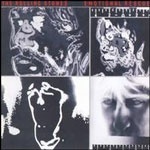 Some Rolling Stones album has to be last, and so we begin with 1983’s Undercover. It was one of the few times that Mick Jagger and Keith Richards tried to fit in with the music of the day rather than just going with their instincts. Songs such as “Undercover Of The Night” are not inherently bad, but their rhythms and style are tied to the early 1980s and do not fit in with most of what the Stones have produced. It was a rare occasion that Jagger and Richard left their rock ‘n’ roll foundation behind, and the results were average at best. 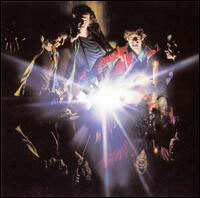 A Bigger Bang is the last Rolling Stones studio album to date. 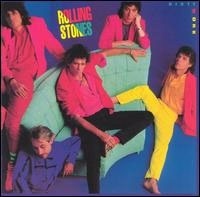 It was a basic affair with only Jagger, Richards, and Watts playing on all the tracks. Ron Woods was featured on 10 of the 15 songs. It has now been over a decade since its release, and songs such as “Streets Of Love,” “Rough Justice,” “This Place Is Empty,” “Oh No Not You Again,” and “Infamy” are solid if not spectacular, but they do not come to mind when considering their music. It is a solid album with no highs or lows, and it finds the band taking few chances. 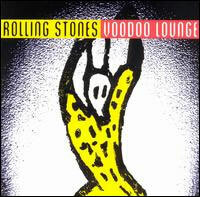 When Voodoo Lounge was released, it had been five years since the last Rolling Stones studio album. I remember playing the album quite a bit at the time, but it has since receded into the vast Stones catalogue and rarely bubbles to the surface. There are a few good songs here, but it lacks cohesiveness, which prevents it from ranking higher. Keith Richards and Mick Jagger weren’t getting along and Charlie Watts was having problems with addiction. Given these issues, it’s surprising the band was able to create a full album of music. “One Hit To The Body” and “Harlem Shuffle” were successful singles, but their rhythms and style are very ’80s. Keith Richards’ gritty lead vocals on “Too Rude” and “Sleep Tonight” keep the affair grounded in competent, if not spectacular rock ‘n’ roll. 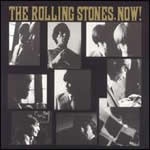 The Rolling Stones released seven studio albums between 1964 and early 1967. Between The Buttons came along when the creative juices had dried up a bit. It is an album of solid but mainly forgotten songs by a band that did not realize at the time that they were concluding the first period of their career. The bluesy “Back Street Girl” and Keith Richards’ first lead vocal on “Something Happened To Me Yesterday” are the highlights. The band rested a bit, and later that year they created a masterpiece. I was never enamored by the title track, but millions of record buyers disagreed with me as it reached the number three position on the Billboard Singles Chart, with the album racing to number one. “Dance Part 1” has some funky rhythms, but it is “She’s So Cold” that returned the band to their rock roots. It all ended up as a solid outing for a band trying to remain relevant as musical tastes changed. 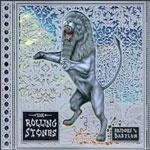 Bridges To Babylon is a very solid album but did not have the impact of many of the Stones’ classic releases. It contains three Keith Richards lead vocals, which was a first. “For the First Time,” “Flip The Switch,” “Thief In The Night,” and “Out Of Control” are representative of an album that is entertaining but quickly fades from your memory. 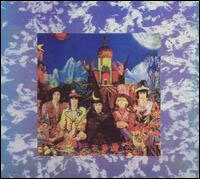 This is the first album released with Ronnie Wood as the second guitarist in place of Mick Taylor. Wood and Richards fit together well, but Taylor had pushed Richards to play better and created a tension that led to some of the best guitar work in history. The album added a little reggae and funk to their rock ‘n’ roll, and the results are mixed. Billy Preston and Nicky Hopkins provide the keyboards, which are more prominent than in the past. The album is not their best work; however, it does take enough chances to make it interesting. 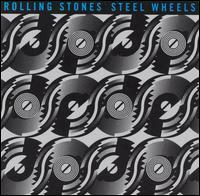 Steel Wheels is probably the best of their late-career albums. It is a solid rock ‘n’ roll album for its own sake and pays little attention to the musical moods of the day. “Mixed Emotions” is a rocker that has just about everything including double guitars, a brass section, female backing singers, and keyboards supporting everything. “Sad Sad Sad” is about as smooth as the Stones get. 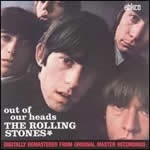 “Almost Hear You Sigh” finds the Stones making excellent music, and making it seem so easy. Still, this is an album that still contains a few surprises. 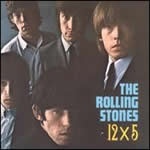 The quality of Rolling Stones albums begins to grow significantly with 12 X 5. 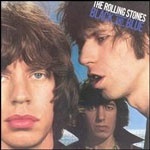 It is an album of blues covers supplemented with three original compositions by Jagger and Richards. An early version of “Time Is On My Side” has an organ foundation rather than the dual electric guitars that propelled it to become a hit single. The Bobby Womack composition “It’s All Over Now” is an example of just how well the Stones could transform a good rhythm & blues song. The Jagger/Richards “Congratulations” is often overlooked, but it is an excellent performance by a band learning its craft and establishing itself as a force in 1960s rock music. 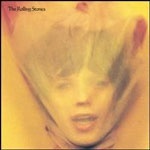 Goats Head Soup marked a fully developed change in the Rolling Stones sound and style. Songs such as “Dancing With Mr. D,” “Doo Doo Doo Do Doo (Heartbreaker),” “and “Star Star” all have funkier rhythms than in the past. The counterpoint to the upbeat material is the gritty “Silver Train” and the huge hit single “Angie.” This is an album that comes very close to the upper echelon of their releases. The album was a hurried affair, and in many ways, the total is better than the sum of its parts. It is not an album you can pick apart song by song. However, when you listen to “I’m Free,” Chuck Berry’s “Talkin’ Bout You” and Marvin Gaye’s “Hitch Hike” as a unit, you have the early Stones at their raw best. A highlight is “The Under Assistant West Coast Promotion Man,” which is one of the few tongue-in-cheek songs the band produced. It is a cohesive album of solid tracks that is many times lost in the brilliance that followed. 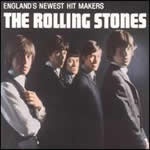 At the beginning of their career, the Stones were a basic British rock and blues band who caught the British Invasion wave in the United States. They had a sound that was less smooth and certainly rawer than many of their contemporaries. “Not Fade Away” is an effective cover of the Crickets tune and “Tell Me” is basic rock ‘n’ roll and a good introduction to their developing sound. “I’m A King Bee,” “Walking The Dog,” and “I Just Want To Make Love To You” find the band taking the first very good step on a long journey. It’s Only Rock ‘N’ Roll begins a series of 11 albums that contain some of the best music in rock ‘n’ roll history. It was the last album to fully feature guitarist Mick Taylor. It was also the fourth of eight consecutive number one albums in the United States. “Dance Little Sister,” “If You Can’t Rock Me,” and the title track remain important parts of their legacy. Throw in a cover of the Motown classic “Ain’t Too Proud To Beg” and you have the foundation of a superior album. The only surprise is they produced ten albums that are better. 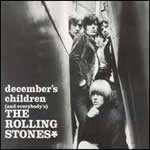 December’s Children is a rare album that was cobbled together but still works. Some of the tracks were a couple of years old, which were united with two new singles. It is the singles on this disc that push some very good tracks into the top ten. 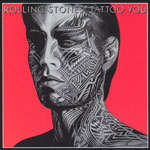 “Get Off Of My Cloud” and “As Tears Go By” are classics not only of The Rolling Stones catalogue but also of their era. The first four tracks alone push the album into the top ten of the Rolling Stone discography. “Paint It Black,” “Stupid Girl,” “Lady Jane,” and “Under My Thumb” are a varied, creative, and powerful introduction to an excellent album. The 11 minute “Goin’ Home” is a rare extended track by the Stones that makes one miss Brian Jones. Rolling Stones Now marked the end of the blues phase of their career. A cover of “Little Red Rooster” and their own “Heart Of Stone” are two of the better and bluesy tracks from the first part of their career. It was a sound that served them well, which this album demonstrates. This is a solid album of rock ‘n’ roll from beginning to end. “Start Me Up” is one of the better rock songs from the second half of the Stones’ career and served as their concert opener for years. “Hang Fire,” “Little T&A,” “and “Waiting On A Friend” are the highlights of just about a perfect album of rock ‘n’ roll as one can get. 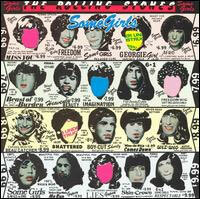 Some Girls is the Rolling Stones biggest selling album in the United States to date. 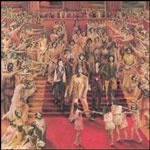 “Miss You” was a number one single, but it was the top ten “Beast Of Burden” that is the memorable performance. 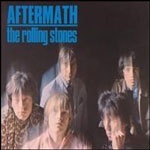 It is a track that has grown on me and is one of my favorite Stones songs. “When The Whip Comes Down” and “Shattered” are very close in quality, forming the foundation of a classic album. “Sympathy For The Devil” solidified the Rolling Stones image of rock ‘n’ roll’s bad boys and it became a cornerstone of their live shows. “Street Fighting Man” is a slice of rock at its best, while “Stray Cat Blues” is a down and dirty gritty performance. The album presents Brian Jones at his creative best: “No Expectations” (slide guitar), “Dear Doctor” and “Parachute Woman” (harmonica), and “Jigsaw Puzzle” (keyboards). 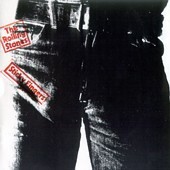 One of the creative album covers in music history came into being with the release of Sticky Fingers. The zipper on the pants actually worked. It also marked the debut of their famous tongue and lips logo. The album begins with the eternal rocker “Brown Sugar,” the bluesy “Sway,” and the lyrical beauty of “Wild Horses.” The back to back “Sister Morphine” and “Dead Flowers” are two of the most painful songs in rock history. The album closer “Moonlight Mile” is a brilliant song that is often ignored in all the brilliance. Sticky Fingers is required rock ‘n’ roll listening. This is an album you either love or hate. The psychedelic era was in full flower and this was their one release that found them fully immersed in the style and sound of that era. “She’s A Rainbow” is a many times a lost classic single. “In Another Land,” “The Lantern,” and “2000 Light Years From Home” are unlike anything else the Stones produced and are wonderful relics of a bygone era. “The Citadel” may be a little out of place, but the Keith Richards guitar riff is eternal. The original 3D cover with the hidden Beatle faces helped define an era. 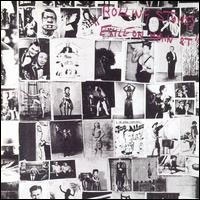 Exile On Main Street is rightfully considered one of the best rock ‘n’ roll albums in history. It was not a cohesive release, but the individual parts were brilliant, one after another. Rock, blues, soul, country, and even a little gospel all explode from the speakers. “Ventilator Blues” is a slow, percolating number with Richards slide guitar and Mick Taylor’s lead coming together perfectly. Mick Taylor steps forward on Robert Johnson’s “Stop Breakin’ Down,” which moves it toward more of a rock sound. “Happy” contains one of Keith Richards’ better vocals. “Tumbling Dice,” with Ian Stewart on piano, is an upbeat blues piece. “Sweet Black Angel,” a tribute to Angela Davis, may be a product of its time, but the dual guitars of Taylor and Richards cement their place as one of rock’s better guitar duos. The album continues to hold delights 44 years after its original release. Let It Bleed contains 42:21 of musical bliss. The torch was being passed from Brian Jones to Mick Taylor with what would become stunning results. “Midnight Rambler” is a mini blues opus that sums up the fusion of rock and blues. 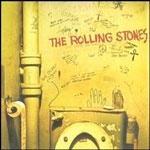 “Gimme Shelter” is about as powerful as rock n’ roll can get. “You Can’t Always Get What You Want” is a creative merging of light and dark within a rock format. “Let It Bleed” is another powerful track with Ry Cooder providing the slide guitar work. “Live With Me” is the introduction of the Taylor/Richards guitar duo juggernaut. 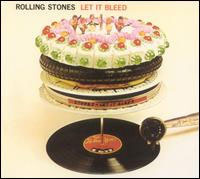 Rock music doesn’t get any better then Let It Bleed.